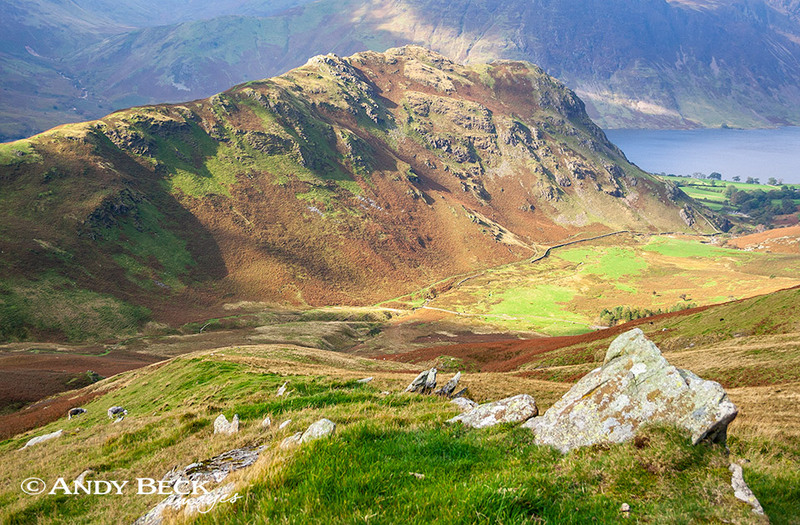 Summary: At only 1165′ Rannerdale Knotts which is located on the eastern edge of Crummockwater is an relatively easy fell to ascend from the village of Buttermere, a shorter but steeper ascent can be made from the car park near Hause Point. 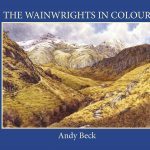 Wainwright included this fell on his first lists, taking the name from the 1 inch Batholomew map as on the O.S. map ot wasn’t named as such, only the ridge that extends south-east from the summit was named as Low Bank. On the 6 inch maps Rannerdale Knotts was the name of the steep rough crags which rise up above the flat pastureland of Rannerdale farm. The Rannerdale valley is reputed to be the site of a battle in either the 11th or 12th centuries when the Cumbrian and Norse inhabitants took on the invading Norman army. These days the same area is a popular tourist attraction when the lower slopes of the valley are covered in swathes of bluebells in late spring. The fell is bounded by the valley of Squat beck to the north-east. In the past a track went up and over the low saddle on the north-western tip of the fell, this was known as Buttermere Hause but today the road bypasses this route by following the edge of Crummockwater. Topographical details: The summit height of 1160′ given by Wainwirght has now been re-calculated to being 1165′ 355m at GR: NY16727 18251. A rough cairn sits a metre or two north of the highest point of rock and this is the Wainwright summit. 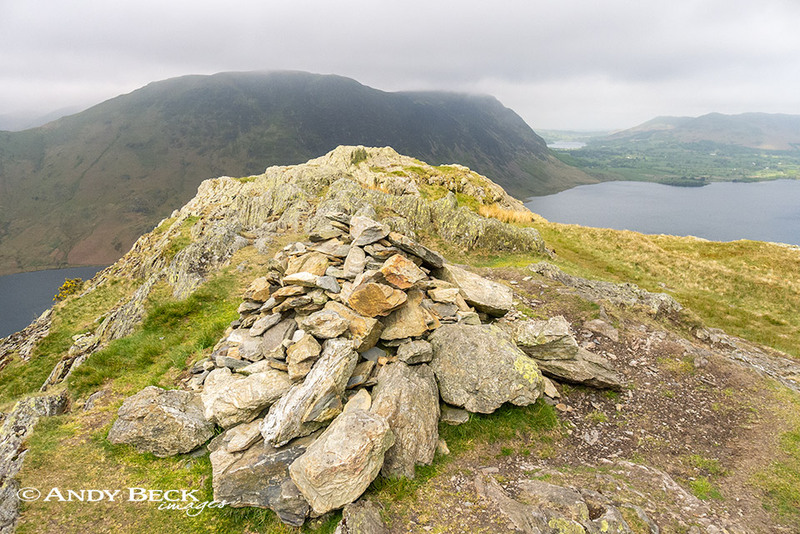 Points of interest: The views from the summit are mostly of higher hills nearby but the best view is that towards the south-east over Buttermere in the direction of Haystacks and the Great Gable range. The Rannerdale bluebells are worthy of a visit at the right time of year. 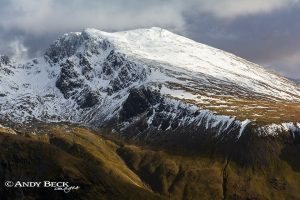 Adjoining fells: Whiteless Pike is the nearest fell, reached by descending along the ridge of Low Bank and then up the path to the summit. Nearest facilities: Car parking near Hause point (limited spaces- free) also at Cinderdale Common (free) and at Buttermere village. Tearoom and campsite at Syke Farm at Buttermere village and two pubs The Fish Inn and The Bridge Hotel. Star rating: (1.7 / 5) Not a high rating, the views are good but little else of interest. Little variety of routes of ascent.